What do you imagine when you think of your hard drive? For many it is a mysterious mechanism that records our data, but actually it the heart and soul of our machines. Without it, no matter whether we have the latest, most powerful system, it would be unable to function. Your hard drive is the repository of your data, it contains the information that allows your system to boot, holds the photos, documents and music that is close to your heart; or business documents crucial to your bottom line. To say it is important is an understatement, it is vital. Hard drives can be internal or external, come in a variety of models, but ultimately we are speaking of the engine that allows your system to function. While software allows you to create, when you click the "save button", the data is stored to your hard drive, be that Serial ATA (SATA), (IDE, EIDE), SCSI, or SAS. Like any engine (or mechanical device), the possibility of failure (data loss or corruption) needs to be considered. If you're having hard drive issues, or even think your might, give our techs at Birmingham hard drive recovery a call and let us help. The call is toll free, the consultation free and there is never any obligation to use our services. We've built hard drive recovery Birmingham around a central theme, to give our customers the best and most satisfying service at a cost effective price. We do this by using technicians trained and certified (collectively with over 30+ years of experience) in data recovery and a customer service team second to none. 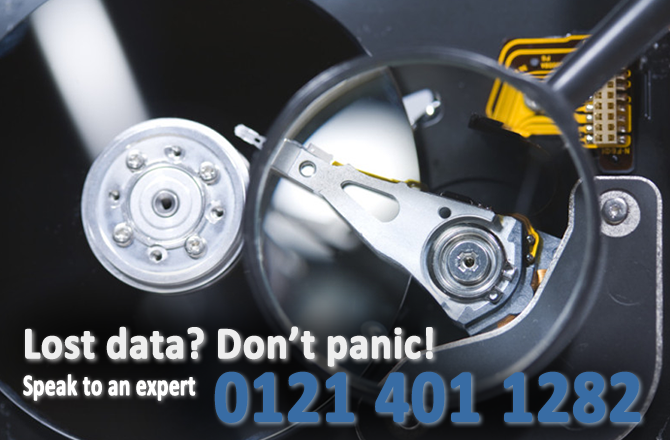 Why we're the best at hard drive recovery Birmingham? We live in an advanced technological society, but until hard drive failure and/or data loss is eliminated, we stand ready and willing to turn a stressful experience into a satisfying outcome. Whether your hard drive resides on a Windows, Apple, Linux or UNIX system, our techs have the experience and dedication to solve nearly any data loss scenario and our track record is unparalleled. How to know your hard drive may soon fail? Like the vehicles we drive, there are warning signs when something is amiss, the same is true with a hard dive. If you're experiencing frequent crashes, this is an indicator you likely have hard drive issues. If you're seeing unusual error messages, you may have data recovery issues. If the file and/or folder names are scrambled, this is a sure sign you have hard drive issues. If a folder you know is there, is suddenly unavailable (seems to have disappeared), it's likely you have hard drive issues. If the time to perform routine tasks is taking longer than expected, this could indicate bad "seek time", which is an indicator of imminent failure. If your system crashes and shows a blue screen (often called the blue screen of death), this is likely signaling hard drive failure. If you hear unusual sounds (or grinding noises), your hard drive may soon experience failure. That isn't a definitive list, and these aren't designed to scare you into contacting us, merely to make you aware that hard drives do fail, often on a regular basis. If you're experiencing any of the above, or possibly something not listed, call us toll-free and let us help. As mentioned the call and consultation is free and without obligation. There is no single reason hard drives fail, but the most common reasons are electronics, heat or physical damage. No computer or hard drive likes heat, yet it is a constant by-product of system operation. When cooling fans function properly, the heat is dispersed and all is well. However, should the fan become clogged and/or fail to operate properly hard drive failure or data corruption will soon follow. The electronics inside your system are manufactured to high standards, but can fall victim to electrical surges. Should this occur, the hard drive may become inaccessible, but the data (the most important ingredient) remains intact and can be recovered by experienced techs. Physical damage is likely caused by accidentally dropping your laptop or other device. It can also occur by blunt force trauma (being hit with a hammer for instance). With over 30+ of collective experience, our hard drive recovery team has likely seen it all. In almost every case, we can recover your data and we're as close as a phone call, or simply filling out the form on this page. We're happy to help, that's why we're here. Give us a call on 0121 401 1282 and let us put your worries to rest.